From 5 September 1865, her married name became Cole. After her marriage, Hon. Mary Emma Brodrick was styled as Countess of Enniskillen on 5 September 1865. Her married name became Brodrick. After her marriage, Hon. 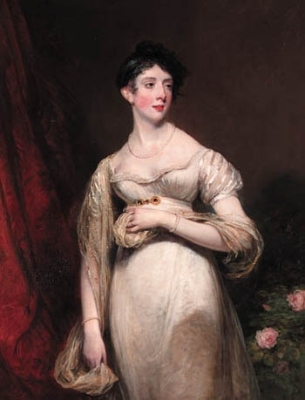 Emma Stapleton was styled as Viscountess Midleton of Midleton on 1 November 1848. He graduated from Oriel College, Oxford University, Oxford, Oxfordshire, EnglandG, in 1830 with a Bachelor of Arts (B.A. )1 He held the office of Member of Parliament (M.P.) (Conservative) for Bandon between January 1831 and July 1831.1 He graduated from Oriel College, Oxford University, Oxford, Oxfordshire, EnglandG, in 1834 with a Master of Arts (M.A. )1 He held the office of Member of Parliament (M.P.) (Conservative) for Bandon between 1842 and 1856.1 He succeeded as the 3rd Viscount Bernard [I., 1800] on 31 October 1856.1 He succeeded as the 3rd Viscount Bandon, of Bandonbridge, co. Cork [I., 1795] on 31 October 1856.1 He succeeded as the 3rd Earl of Bandon [I., 1800] on 31 October 1856.1 He succeeded as the 3rd Baron Bandon, of Bandonbridge, co. Cork [I., 1793] on 31 October 1856.1 He held the office of Representative Peer [Ireland] in 1858.1 He was awarded the honorary degree of Doctor of Civil Laws (D.C.L.) by Oriel College, Oxford University, Oxford, Oxfordshire, EnglandG.1 He held the office of Lord-Lieutenant of County Cork between 1874 and 1877.1 His last will was dated 17 June 1874. After her marriage, Hon. Emily Mary Lamb was styled as Countess Cowper on 20 July 1805. From 20 July 1805, her married name became Cowper. From 16 December 1839, her married name became Temple. After her marriage, Hon. Emily Mary Lamb was styled as Viscountess Palmerston on 16 December 1839. 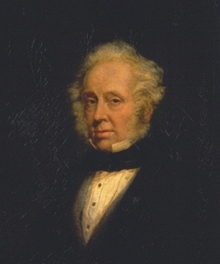 He gained the title of 1st Viscount Melbourne. [S6] G.E. Cokayne; with Vicary Gibbs, H.A. Doubleday, Geoffrey H. White, Duncan Warrand and Lord Howard de Walden, editors, The Complete Peerage of England, Scotland, Ireland, Great Britain and the United Kingdom, Extant, Extinct or Dormant, new ed., 13 volumes in 14 (1910-1959; reprint in 6 volumes, Gloucester, U.K.: Alan Sutton Publishing, 2000), volume VIII, page 635. Hereinafter cited as The Complete Peerage.